In 2011, a Lockheed-Martin Sentinel RQ-170 drone operated by the United States crash-landed in Kashmar, Iran. Questions and controversy immediately ensued as to how the American UAV was redirected and landed. At the time, experts speculated that Iran was able to redirect the aircraft by tricking or “spoofing” its navigational system. Ultimately, Iran claimed that this was indeed the case. 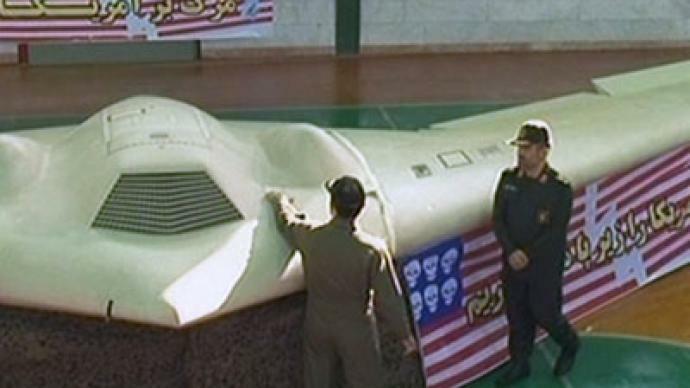 Iran has kept the Sentinel drone, refusing to return it to the United States despite appeals by President Obama. It became evident afterwards that Iran had hacked into the Global Positioning System (GPS) used by the CIA-operated drone, having found a significant vulnerability in America’s arsenal and given operational military effect to research that had been done by scientists on at least two continents. Iran claims to have replicated the RQ-170 drone belonging to the U.S. The incident occurred during negotiations between the Obama administration and the Iranian theocracy that ultimately led to the controversial agreement of 2015 between the U.S. and its allies with Iran over the weaponization of its nuclear research program that will release hundreds of millions of dollars of now-frozen Iranian assets in the West. The incident did not deter the Obama administration, during the tenure of Secretary of State Hillary Clinton and her successor John Kerry from advancing on the nuclear deal. Coincidently, it was on Jan. 12 - the day Obama was delivering his final State of the Union address and when the nuclear deal was to go into effect - that another navigational error on the part of a U.S. military entity made ripples in bilateral relations between the U.S. and Iran. According to the U.S. Navy, two Riverine Command Boats and ten crewmembers strayed into Iranian territorial waters. They were interdicted by Iranian Revolutionary Guard naval units and made to surrender. The boats and crews were taken to Farsi Island, in the midst of the Persian Gulf, where they were held overnight. Once the Islamic Republic received an apology from Secretary Kerry, the crew and boats were released. Afterwards, it was reported that even though Iran returned the boats and weapons to the United States, the SIM cards in two cellphones were retained. Also, the GPS devices onboard the boats had been seized. Indeed, it was on the basis of the data captured on the seized GPS devices that was touted as proof by Iran of the incursion into its waters. “The coordinates recorded on the GPS devices taken from the 10 U.S. marines (sic) confirmed their trespassing” into waters off heavily-guarded Farsi island, the official Fars news agency reported. “The two 49-foot Riverine Command Boats left Kuwait en route to the Navy’s Fifth Fleet headquarters in Bahrain, a trip of about 290 miles, at 12:53 a.m. Iran time,” the command said in a January 18 statement. “The planned transit path for the mission was down the middle of the Gulf and not through the territorial waters of any country other than Kuwait and Bahrain,” the command said. “A refueling rendezvous with the Coast Guard Cutter Monomoy was planned for 5 p.m. local time.” The two vessels were thus approximately 60 miles off course when Iranian naval forces interdicted them and escorted them at gunpoint to Farsi Island. 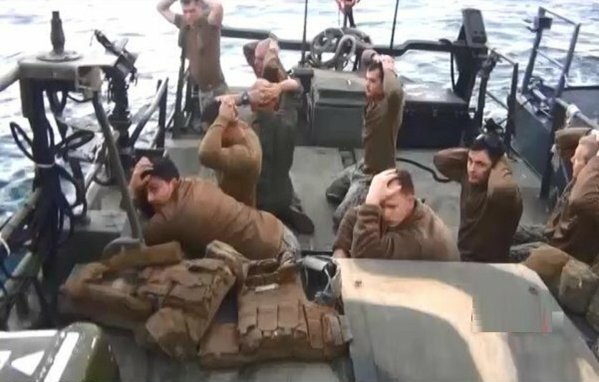 Iran issued a statement that the U.S. sailors should have known where they were at the time. Sources in the U.S. Navy sought to diminish the possibility of navigational “spoofing” in the case of the two Riverine Command Boats, despite Iran’s claims to have spoofed the CIA drone in 2011. Usually, the route used by the small riverine boats used by the Navy hugs the territorial waters of states friendly to America and away from the 12 mile territorial buffer around Farsi Island. U.S. Navy 5th Fleet spokesman Cmdr. Kevin Stephens said that the incident remains under investigation by the commander of Naval Forces Central Command. However, North Korea – a long-time technology partner with Iran – regularly attempts to spoof the GPS on ships near its territorial waters, Eric Wertheim — naval analyst and author of U.S. Naval Institute’s Combat Fleets of the World, told USNI News earlier this month. The severity of the incident involving Iran has been compared to the time in 1986 when the forces of Libyan dictator Muammar Gaddafi fired missiles at American naval aircraft operating in the Gulf of Sidra, 64 miles off the Libyan coast. Another such incident was the so-called “bumping” incident of 1988 in which a Soviet surface vessel rammed an American warship conducting innocent passage in Soviet territorial waters in the Black Sea. These incidents were forcefully denounced by the Reagan administration at the time. In the case of Libya, U.S. Navy carrier based aircraft ultimately conducted bombing strikes on Libya in 1987. However, the Farsi Island incident has not been attended by a similar hue and cry by the Obama administration despite obvious violations of international law. Observers are asking whether the lack of response by the Obama administration may embolden other countries to take similar liberties with the U.S. military. There are well-established precedents of navigational spoofing, besides the 2011 downing of the American drone by Iran. For example, in 2013, Prof. Todd E. Humphrey and researchers at the University of Texas demonstrated their custom-built platform to spoof GPS signals. They were able to cause a In a demonstration, they caused an $80 million 214-foot superyacht to go off course because it was not able to distinguish the spoofed GPS signal from the authentic one. Chinese researchers Yang Qing and Huang Lin, with Chinese security firm Qihoo 360’s Unicorn Team, demonstrated a low-cost GPS satellite-spoofing platform at the 2015 DEFCON security conference in Las Vegas. The researchers sold their spoofing kits at DEFCON and published step-by-step instructions for building a spoofing device for only $300. In 2004, President George W. Bush ordered the building of a “back-up” system to protect GPS, which also provides for synchronizing telecommunications and computer networks, financial systems and electrical power grids. At the time, Bush issued a directive identifying GPS as essential to America’s essential infrastructure. While Obama has reaffirmed the Bush directive and voiced concerns about the vulnerability of GPS, action on the part of the Obama administration has been anemic. For about $50 million per year, the eLORAN system could provide a signal at least 1.3 million times stronger than GPS that is difficult to jam. The deputy secretaries of both the Department of Defense and Department of Transportation have spoken out in favor of such a system, but nothing has yet been done. Even so, Britain, China, Iran, Russia, Saudi Arabia, and South Korea are currently using the system. Commenting on the problem, retired Capt. Goward wrote: "Officials in the Obama administration have said they are going to act and address this problem. Let’s hope that they – and the administration that comes next – follow through on presidential commitments and finally do something to safeguard GPS for everyone."